The jury was 'deeply impressed' by the quiet voice of the author. 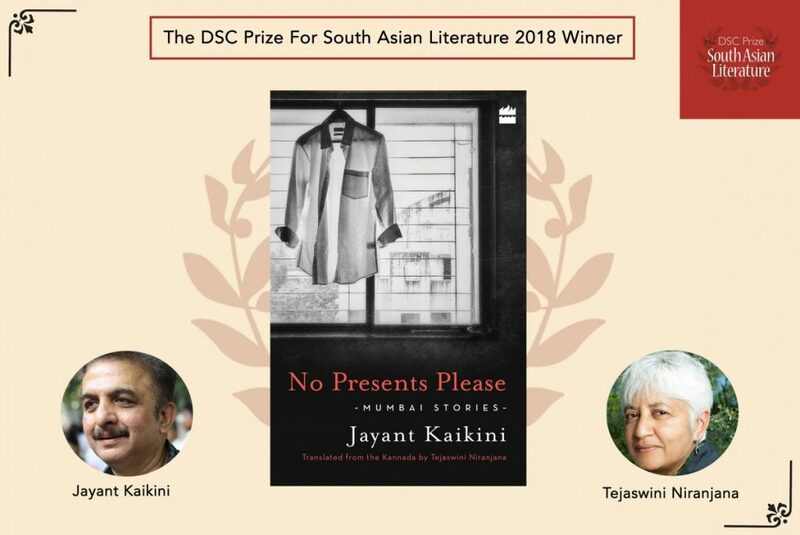 New Delhi: Noted Kannada writer Jayant Kaikani won the 2018 edition of the DSC South Asian Literature Prize for his short story collection No Presents Please. 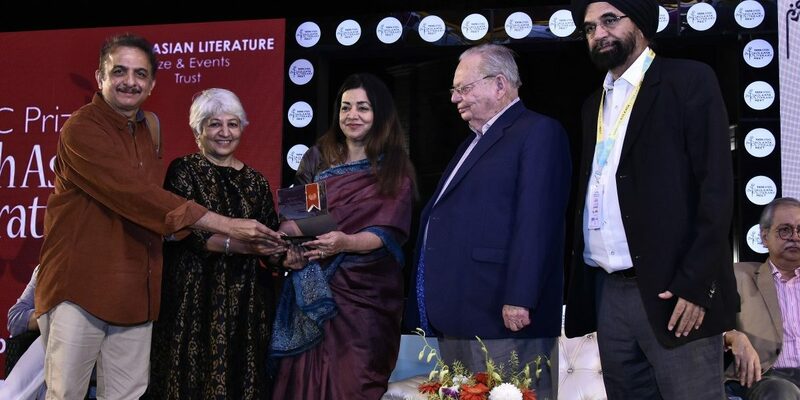 The $25,000 prize was jointly awarded to Kaikini and Tejaswini Niranjana, the translator of the book, at the Tata Steel Kolkata Literary Meet on Friday, January 25. Kaikini is a Kannada author and dramatist. Recipient of the Karnataka Sahitya Akademi prize four times, he has written screenplays, dialogues and lyrics for Kannada films. The shortlist for the 2018 edition included Jayant Kaikini: No Presents Please (translated by Tejaswini Niranjana, Harper Perennial, HarperCollins India), Kamila Shamsie: Home Fire (Riverhead Books, USA and Bloomsbury, UK), Manu Joseph: Miss Laila Armed And Dangerous (Fourth Estate, HarperCollins, India), Mohsin Hamid: Exit West (Riverhead Books, USA and Hamish Hamilton, Penguin Random House, India), Neel Mukherjee: A State Of Freedom (Chatto & Windus, Vintage, UK and Hamish Hamilton, Penguin Random House, India) and Sujit Saraf: Harilal & Sons (Speaking Tiger, India). “The jury was deeply impressed by the quiet voice of the author through which he presented vignettes of life in Mumbai and made the city the protagonist of a coherent narrative. The Mumbai that came across through the pen of Kaikini was the city of ordinary people who inhabit the bustling metropolis. It is a view from the margins and all the more poignant because of it. This is the first time that this award is being given to a translated work and the jury would like to recognise the outstanding contribution of Tejaswini Niranjana, the translator,” jury chair Rudrangshu Mukherjee said. “The challenges faced by the authors to weave their protests against the wave of anti-globalisation into their writings of seemingly harmless pieces of literature could be seen through their work, migration being a major theme this year. The DSC Prize has completed eight years and reading South Asian literature written in English including translations has enabled larger global audiences to understand the issues globalisation has brought about. The jury as usual has to do the difficult task of selecting the better amongst the best. My congratulations to the jury for their excellent choice of the winner,” Surina Narula, founder of the DSC prize, said in a statement. Founded by DSC limited, the award is in its eighth year. Past winners of the prize include H.M. Naqvi of Pakistan, Shehan Karunatilaka of Sri Lanka, Jeet Thayil and Cyrus Mistry from India, American author of Indian origin Jhumpa Lahiri, Anuradha Roy from India and Anuk Arudpragasam of Sri Lanka who won the prize last year. The prize is announced at a South Asian city on rotational basis each year. The winner of the DSC Prize 2016 was announced at the Galle Literary Festival, Sri Lanka, the winner of the DSC Prize 2017 was announced at the Dhaka Literary Festival, Bangladesh, and this year the winner was announced at the Tata Steel Kolkata Literary Meet, India.